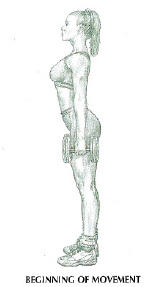 This exercise is to do with middle weights. Sets of 10-20 reps give excellent results. Doing this exercise with heavy weight is useless.